Estonians call their homeland Eesti or Eesti Vabariik and refer to themselves as Eestlaseds. This name can be traced back to the first century by a Roman historian, but likely the name came from the Germans, referring to the people to their east. The country is bordered to the west by the Baltic Sea and with Lake Peipsi forming a border with Russia to the east, Latvia lies just to the south and Finland is not too far across the Gulf of Finland to the north. The language, Estonian, is closely related to Finnish and considered to be one of the most difficult languages in the world to learn. Many Estonians also speak Russian and English is now being taught in schools as a third language. Estonia has been ruled by the Poles, Danes, Germans, Swedes and Russians. They first gained independence on February 24, 1918 and it is celebrated each year as National Day with fireworks, concerts and parades. 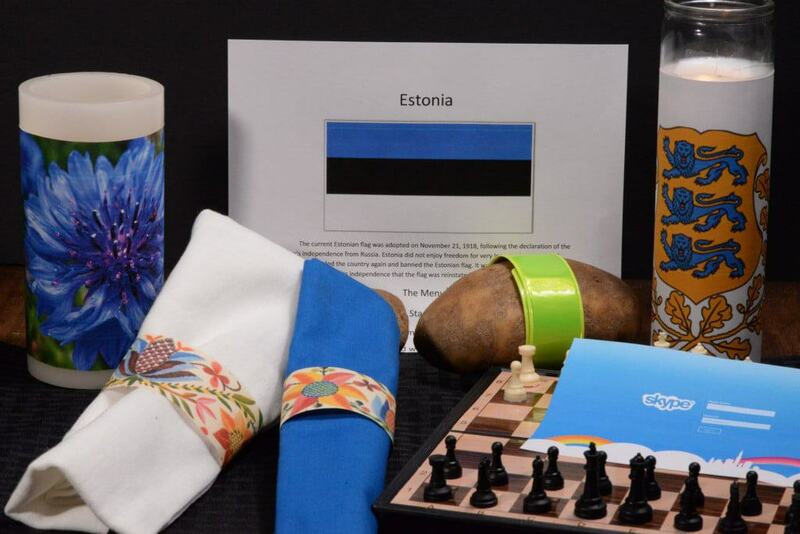 They also have a second Independence Day called the Restoration of Estonian Independence. The Soviets occupied Estonia from 1940 until 1991. Estonia’s second independence began in 1991 after the 50 year long, Soviet occupation ended. During this occupation Estonia held a song festival every five years, called Laulupidu. In 1947 when the first song festival was held after the Soviet occupation, a century old poem was set to music called, “Mu isamaa on minu arm” or “Land of my fathers, Land that I Love.” This song somehow slipped by the Soviet censor, and for fifty years it was sung as the Estonians hoped for freedom. Eventually the Soviets tried to ban the singing of the song, but the Estonians would sing it anyway, in deviance. There was not much the Soviets could do to stop over 100,000 Estonians from erupting in song! In the mid 1980’s, the Estonians began their peaceful movement, known as the Singing Revolution, to gain independence, which was finally achieved on August 20, 1991. Needless to say, music and song hold an extra special place in the hearts of Estonians and the Lalupidu song festival is still there held today. Estonia is part of the Baltic States, along with Latvia and Lithuania, although Estonians like to think of themselves more as Europeans. Estonia’s currency is the euro and they are part of what is known as the Schengen area, which shares open borders with several other countries in Europe. In winter, cross-country skiing is extremely popular in Estonia and in the summer hiking and foraging for mushrooms and berries is a national pastime. Nearly 40 percent of the country is covered by dense forest. It is also home to over 1520 islands and inlets. There were over 78,000 people living on these islands before the Soviet occupation. People were forced to leave and the islands became military bases for the Soviets. Today the island populations are slowly starting to grow again. The islands hold a rich, traditional history for the Estonians, offering a slower pace and a naturalistic connection to the abundant fish and wildlife. Estonia has several capitals. Tallinn is the main capital and is the largest city in Estonia. Tartu is considered the cultural capital and is often ranked among the most popular as a university town. Parnu is considered to be the summer capital as it is a popular summer retreat with beautiful, white sand beaches. Estonia is run as a democratic, parliamentary republic. It is small in size and in population with just over 1.3 million people. They were one of the first countries to implement a flat tax system. Estonia is known as the most “wired” country in Europe. All of the schools have internet connections and you can get service just about anywhere. They also were the first country to hold “internet” political elections. They invented Skype and Hotmail among other things related to high tech. Estonians are well educated and have a fantastic literacy rate, at 99.8 percent. As we look into the cuisine of Estonia, we recognize it was greatly affected by the Soviet occupation. Scandinavia and Germany have also influenced her cuisine. Since the second Independence, Estonians have created some new combinations of flavors using local flavors and ingredients. However, their traditional meals are simple; usually meat and potatoes drowned in a creamy sauce. The most typical foods eaten are rye bread and pork. The starter course in traditional Estonian cuisine, is typically a cold one. Their signature dish, called rossolje, is based on beetroot, potatoes and herring. Herring, sprats, flounder and perch are all popular fish dishes. Soup served with black, rye bread may often comprise the main meal. The soups are usually blended with sour cream, milk or yogurt. Black pudding, a blood and barley sausage, is often times listed as the national dish of Estonia, but actually, it is usually just served around Christmas time. Speaking of Christmas, Estonians are not religious. 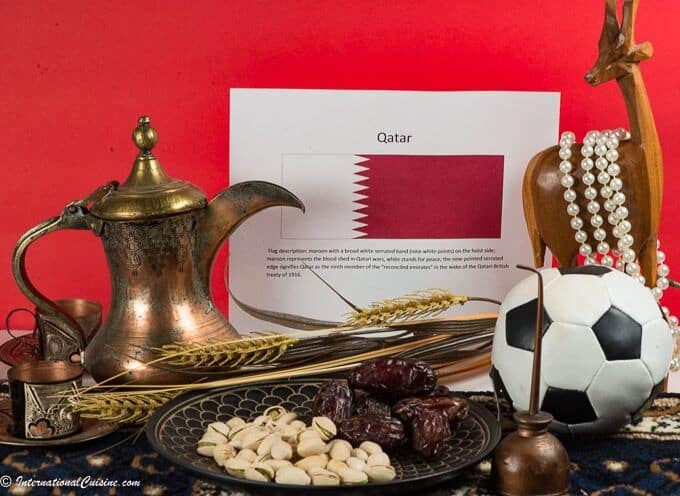 In fact, they are considered to be one of the least religious countries in the world, with only 14 percent of the population declaring religion as part of their lives. 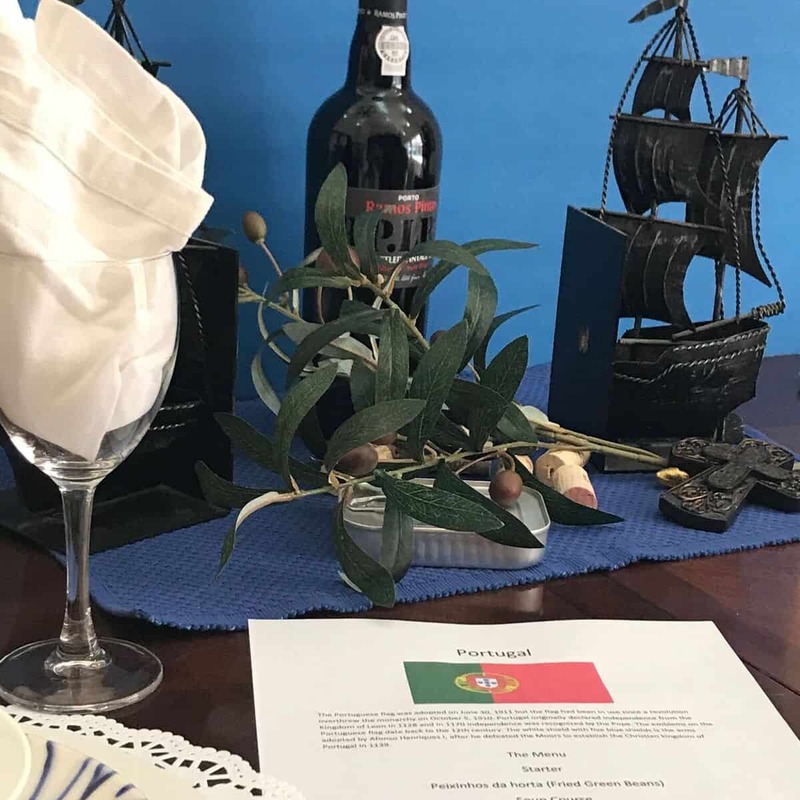 We set the table with the colors of the Estonian flag; blue, black and white. The blue represents the clear blue skies and the vast coastal areas of the country. It also stands for the hope and aspirations of the people of Estonia. Black symbolizes the dark past and the suffering that the people endured. White is the traditional color of peace. We used a beautiful, Estonian folk art, embroidery pattern for our napkin rings and decorated with the national flower, the corn flower. We ate continental style, knife in right hand, fork in the left. 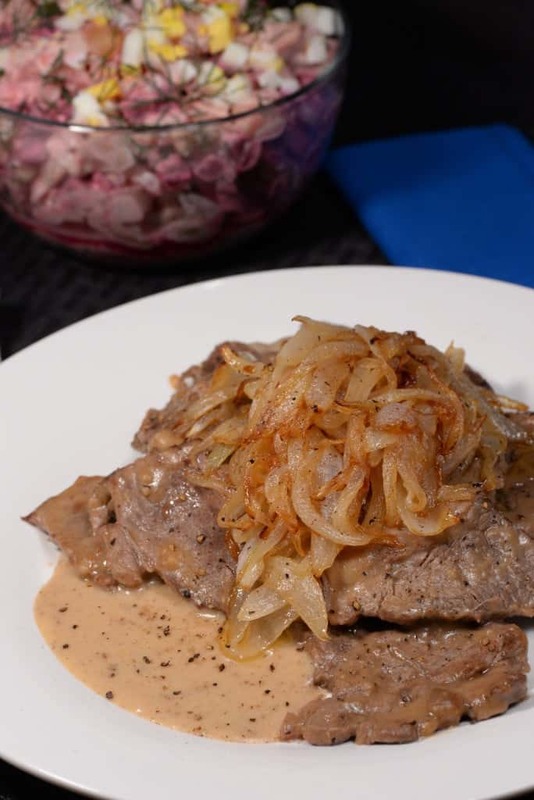 The main course was a pan-fried, beef steak, smothered in a creamy gravy and topped with caramelized onions, awesome! 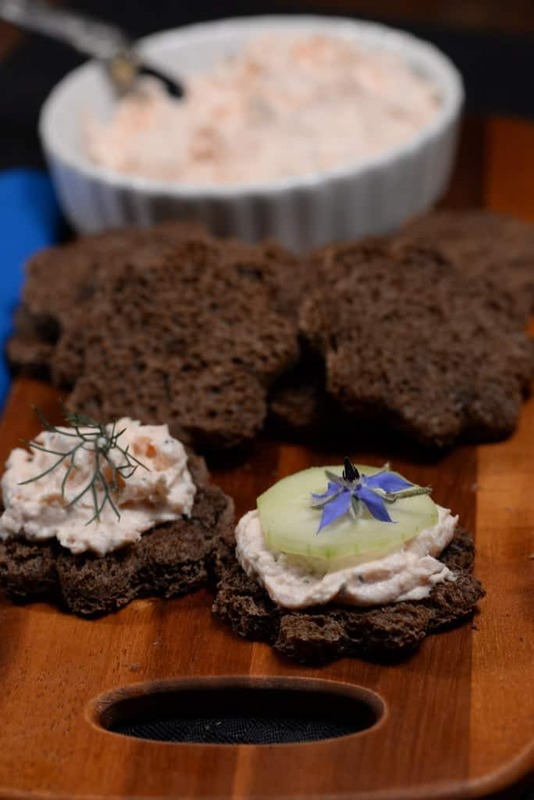 This was served with Estonian’s signature dish, called rossolje. 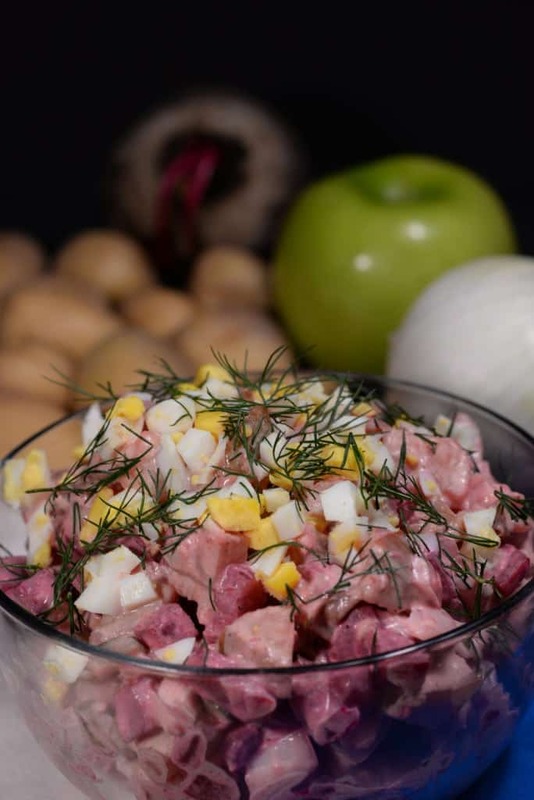 This potato, beet and herring salad was the dish that surprised me the most. I am not sure where I got my reluctance to eat herring but I was amazed at how delicious the combinations of flavors blended together. It was excellent. For dessert, we had a simple, berry mousse, made with semolina or cream of wheat, if you will. I made ours with fresh raspberries and it was a lovely dessert. Berries of all sorts are found in Estonia. 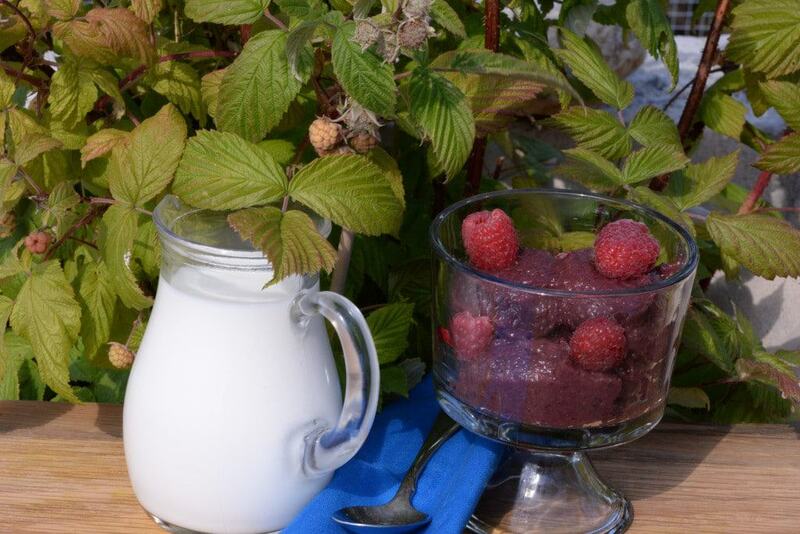 Some that are said to have wonderful, healing powers, are considered super berries. One that I really wanted to try but I could only find it in pill form was the sea-thorn berry. Well, perhaps a berry-picking trip to Estonia is in order. After we ate every morsel on our plates, we ended our meal with a toast; vodka of course and said “Terviseks,” which means “to your health.” Then we were off for a sauna, a very popular pastime in Estonia. But first we had to put on our reflectors of brightly colored bands. It is mandatory for everyone to wear them at night, even just while walking. It’s the law. Later, we would play a game of chess, in honor of the Estonian born, chess grandmaster, Paul Keres. When he died in 1975, over 100,000 Estonians attended his funeral. I feel the same way about sharing a meal!